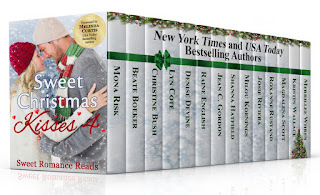 Each year, when the new bundle of short stories called "Sweet Christmas Kisses" comes out, I buy it, and then I read them all . . .
All year long, I've worked with the other authors in the set, preparing, planning, discussing everything. And believe me, there is a lot of work going on behind the scenes. We have a steering committee who works super hard, but many others also jump in and help with the promotions and preparations. It's funny that people think of romance writers as people who have their heads in the clouds and can only think fluffy, pink thoughts. The romance writers I've met so far are all down-to-earth business women who tackle their tasks with determination and dedication. They are extremely professional and efficient, and they don't rant. Instead, they help each other. I've learned a lot during the years, and I'm so grateful to them. I only got to know these women via the Internet. I haven't met a single one personally yet, and so, my special treat is to read the short stories to get to see a different angle of the people I got to know during the preparations. I find it fascinating to see the many different backgrounds shining through the stories. 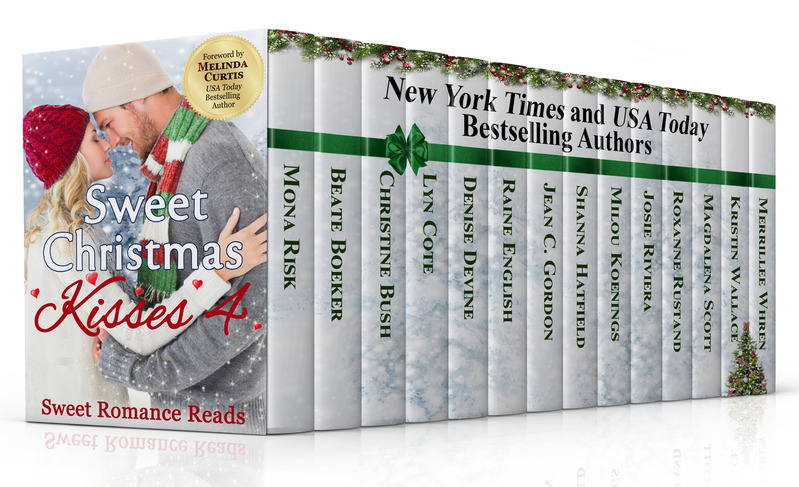 There's plenty of snow and plenty of cocoa in most of the stories (I see a common theme here - maybe that's no surprise! ;-) ), but otherwise, they're very different. Some heroines are sassy, some are insecure, some live in the South, some in the North, some in poverty, some in settled situations. But one thing is always the same - there is a happy end. I believe that romance writers have to be positive people. They have to believe that good will conquer all, and this belief shines through all the stories, no matter how different we are in many other respects. And this belief also shows in the way we deal with each other. So reading the anthology is a special pleasure for me - it's like discovering a new side to someone I've known for a long time. Have you read books by people you know? And have you looked for a connection between the real and the invented? I agree, Beate. I love all the stories!